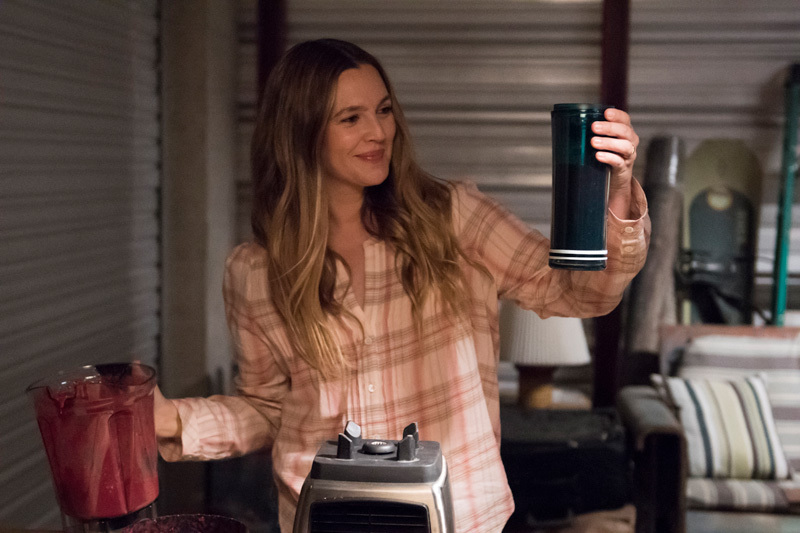 Just piping up to recommend Santa Clarita Diet on Netflix, if you haven’t seen it already. Think a mildly gore-splattered Desperate Housewives with the sensibility of 30 Rock. If that floats your boat, give it a couple of episodes to get going and find its tone; by the third, you’ll know. For me, it’s all in the combination of great writing — especially in the fleshed-out characters and relationships — and spot-on casting. You can’t go wrong with Drew Barrymore, though Timothy Olyphant is the real standout. Who knew he had such a gift for comedy? Anyway, if Netflix keeps doing shows as entertaining as this, it’ll make the subscription worth keeping. You were reading Santa Clarita Diet, a blog entry by MacDara Conroy. It is filed under Screen and was published in February 2017. If you liked what you read here, you can follow this site on Twitter @MacDaraBlogs or via reader feed, and find many more entries in the Archive.